37% of online sales are done on mobile devices. iPhones and iPads account for almost all of those devices. That was certainly the case on Black Friday. I am for anything that takes more Black Friday sales online and off the streets. 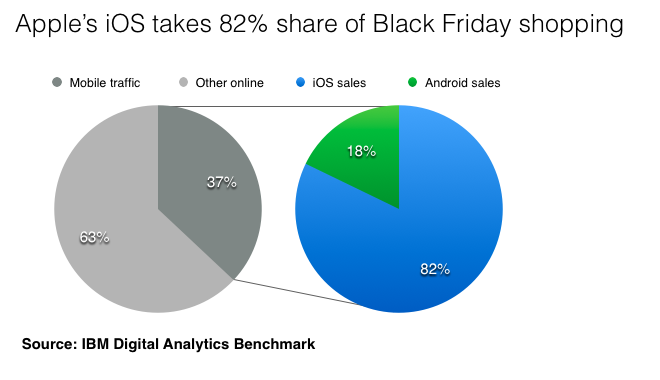 We are constantly told that there are more Android phones and tablets than iPhones and iPads, so why are mobile purchases so skewed in favor of iOS?